Third of such stories relates to the household of Meena Devi, 47, who lives with her husband Mulchand, 50, and seven children. Sons are 26, 13 and 10 years old, while daughters are of 27, 20, 18 and 14 years. Only the eldest daughter is married. However, she remains sick and has been left by her in-laws at Meena’s place. Meena belongs to Katheriya, one of the Scheduled Castes. As Meena was born and brought up at a town, Kanpur, she has studied until eighth standard and is the one of the most educated women in the village. In fact, none of the village women of her age and above is literate. She wants to educate her children properly but is unable to do that for want of money. Two younger sons and the youngest daughter currently go to the government school in the neighboring village. The villagers are not happy with the quality of education at the school and if they could afford, they would like to send their children to the private school located about 3.5 km from the village. Her daughter, currently in eighth standard could not recite multiplication table beyond five and could not read her Hindi textbook properly. None of her other children has studied beyond eighth standard. Nobody in her next generation has developed or appears to be developing their human capital sufficiently to rise beyond poverty despite the fact that she is one of the most educated women in the village. Meena’s family lives in a ramshackled one-room mud house. They have very basic utensils, mostly made of aluminium as they are the cheapest. They cook on a clay chulha (stove) with firewood collected by the children during the day. The house does not have an electricity connection or a toilet. They have four wooden cots in the name of furniture. Her husband owns a bicycle which he uses for commuting to his workplace. Her father-in-law owns five bighas of ancestral land. He has five sons including Meena’s husband. They do not own any means to till the land and have to hire a tractor for the purpose. Hiring a tractor costs INR 300 a bigha. If they have money, they cultivate the land, otherwise it remains barren. Credit is not easily available and that is why the entire patch of land was left barren during Rabi harvesting season immediately preceding my visit. Moreover, productivity of the land has gone down over the years due to indiscriminate use of high-yielding variety of seeds, irrigation, chemical fertilizers and pesticides in the area. The land now needs more fertilizers and water to maintain its productivity. There is never enough money available at the household level to apply fertilizers to the field even when they are able to manage the money for tilling and seeds. Whenever there is yield from the fields, it is distributed among all his sons equally. Her family used to have a cow but it died about one and a half years back due to diarrhea. She was also keeping goats and had two goats and a he-goat. They all died about six months back again due to diarrhea. They spent about INR 300 in their treatment but they could not be saved. She has now stopped keeping livestock. Her husband works in a gas plant at Panaki, about 15 km from the village. He was hired through a contractor and gets INR 80 per day for week days. He is not paid for weekly offs and has no security on the job. He is not covered under any labor regulations and represents the massively growing tribe of informalized workers in the formal sector of economy. He commutes to his workplace on his bicycle and has developed various ailments including swelling in his testicles. The doctors are suggesting for an operation but she does not want him to be operated at a government hospital. She and the other villagers feel that the patients are not cared for in the government hospitals. She does not know the expenditure involved with such operations at a private hospital but estimates it to be somewhere between INR 10,000 and INR 15,000. In spite of being hard-pressed for money, people do not want to take risk with their health for obvious reasons, and prefer private hospitals and the doctors over the government ones. They feel that if they have money or connections, they will be treated well at government hospitals. Private doctors behave much better with them and are more responsive to their queries and concerns. It evokes a feeling of trust among them and they think that they are treated better at private facilities. Most respondents’ initial remarks on the issue always centered on them not being cared well in government hospitals and not on not being treated well. Not being treated well always comes during detailed discussions. Meena is however scared for him as he is very weak and may not be able to cope well with the operation. Arranging for that kind of money is a major issue as they do not have any access to the cheap credit. Moreover, after the operation, he will not be able to ride the bicycle for at least six months, according to the doctors. That would effectively cost him his job and that the family can hardly afford, especially when they need money in lump sums to get their children married. Her elder son also goes to nearby towns of Panaki, Kalyanpur and Kanpur in search of work, as there is no employment opportunity in or around the village, and agricultural land is also not available on sharecropping. Meena is concerned for him as she feels that he is very naive and gets cheated while receiving his wages. He is also unable to negotiate for higher wages. He never gets more than 10 to 12 days of work and never earns more than INR 1,000 a month. Her other sons and daughters also work as agricultural laborers during harvesting season that gives them food grains to last two to three months every year. The younger ones collect 70 to 80 kg of potatoes from different fields. Traditionally, after harvesting the potatoes, the landowners allow others to come to their fields and take away the leftovers. Meena’s parental house is at Kanpur and she stayed there before her marriage. Her father passed away and her brothers left her mother alone. She got her hand fractured and Meena had to stay with her to look after her. As they needed money, Meena started to look for some work based on the basic skills of midwifery and massaging the new mothers and their children that she had acquired as part of the customs of her caste. As she continues to get some work she is staying with her mother at Kanpur. She is living at Kanpur since October 2008 and normally gets work in the neighborhood, but sometimes needs to go to faraway places also. This way she earns about INR 1,000 to 1,500 per month. Her children and her husband continue to live at the village. She comes to the village for about two-three days in each month to meet her immediate family. She has a below poverty line (BPL) ration card entitling her the public distribution system (PDS) food grains (wheat and rice) to meet the requirement of her household for about fifteen days through a payment of INR 205. For the remaining days, they buy it from the market whenever they have money. However, it is never bought at one go due to other necessary expenses on bathing and washing soaps, oil, spices etc. staking their claims on the household income. Food normally consists of potato curry with either rice or chapattis. They sometimes cook green vegetables, when Meena comes back from Kanpur with some money. Lentils, they feel, have become costly and are cooked very rarely, while it invariably used to be part of traditional Indian diet of the poor not very long ago. She had last cooked lentils about one and a half months preceding her first interview and had not cooked non-vegetarian food for more than a year. There are at least seven to ten days in a month for six to seven months in a year when they do not have anything to eat with chapattis and eat chapattis with salt. Before she shifted to Kanpur, there were times when she did not have any food at home at all and had to sleep hungry for three to four days at a stretch. There has been no episode of hunger for last one year. The diet is however chronically protein deficient and must be very detrimental to the health of growing children. They never had milk to drink; only milk they have is with tea. They purchase 250 ml milk for INR 5 every day to make tea for entire household. Ghee (purified butter) or butter is out of question. Clothes for the children are made once in two years in such a way that half of them get it in one year during Diwali and the other half during next Diwali (October/November). Her husband also gets his clothes once in two-three years. She has never purchased a saree after marriage and manages with the sarees she gets during social functions at her household or her parental household. She had got six sarees during her daughter’s marriage. They have to buy food grains, vegetables, salt, spices, sugar, tea leaves, cooking oil, soaps on a regular basis. The quantity of purchase depends on the availability of money. She and her husband chew tobacco and that also entails expenditure. One of her younger daughters fell sick about ten years back and they had to spend about INR 3,000 on her treatment. They borrowed money from her uncle without interest. That amount has since been repaid. They had to incur major expenditure three years later for the marriage of her eldest daughter that cost them about INR 25,000. As they were unable to give dowry and gave only five utensils as symbolic dowry, they could not search for an employed boy. They still needed to spend towards various customs and the feast for the villagers. She borrowed INR 20,000, out of which INR 5,000 were borrowed at the rate of 120% interest per annum, INR 7,000 at 60% per annum, and remaining 5,000 were borrowed from her SHG at 24% per annum. She could manage to borrow INR 3,000 without interest. She is repaying the interest bearing loans first but has not been able to repay it totally. An amount of INR 10,000 of the marriage loan is still outstanding. Her daughter is however not treated well at her in-laws’ place. According to her, whenever she goes there, she comes back ill and Meena’s family has to spend money on her treatment. She has got a five year-old son. When she was pregnant, she became very sick and was sent to Meena’s house. Meena had to spend INR 2,000 in her treatment, out of which INR 500 were provided by Meena’s brother. Now she is pregnant again and has again been sent to Meena’s place. She has now developed asthma and a valve of her heart has got shrunk. She is admitted in a private hospital at Kanpur and an amount of INR 7,000 is already spent on her, including an amount of INR 2,500 that Meena had saved for the marriage of her second daughter. Remaining amount she borrowed at Kanpur on the goodwill of her mother as she has already exhausted her channels of informal credit. She does not know how she will manage the money to marry off her other children, some of whom are of marriageable age and others are fast approaching that age. Meena’s household requires money to meet their regular consumption needs, provide for the contingencies- particularly those related to health, build some productive assets as the household currently does not own any productive asset other than the small patch of land that it shares with other four households, and for the marriage of their six children. Moreover, they live in a house that barely provides them with shelter and is dangerous as it may collapse during monsoons. They therefore further require funds to reconstruct their house. Some of the required funds they can generate by saving regularly over a period of time as the household has at least three sources of cash inflow in addition to casual agricultural work by children. They thus require a savings mechanism that is not only reliable but also has provisions for smaller but frequent transactions. Moreover, it should not impinge on their working hours as that would amount to reduction of their incomes. Some needs, especially those related to the life-cycle events however cannot be met by savings alone. They therefore need reasonably priced credit to avoid chronic indebtedness. In addition, they require frequent access to smaller credit for their agricultural investments, to meet their emergency medical expenses, and smoothen their consumption during the periods of lean incomes. Expenses on health related issues are major constraints on their finances. A part of it, especially that related to major expenses requiring hospitalization may be better managed with provision of reliable and broad-spectrum health insurance. Meena’s husband could very well get his testicles operated without spending much from the household kitty, if the household was covered under health insurance. It would have also ensured that he is operated at a competent hospital rather than at any hospital in order to save some money. Moreover, the household could have avoided much of her daughter’s hospital expenses if she was covered under health insurance. It is also essential for them to be covered under insurance provisions for whatever productive assets they happen to own. Their cow would have fetched INR 10,000-12,000 before it died. Its death reduced the value of household assets by such a big amount at one stroke. Moreover, the household lost a productive asset as sale of its milk was contributing to the household income. Similarly death of goats further impoverished the household. As the earning members travel far for their work and are also engaged in employments not providing them with any security they need to be insured against accidents and death. An NGO, Shramik Bharti, organized a self help group (SHG) in the neighboring village, Dhool, and Meena along with two other women of Barakheda joined it. The SHG required her to deposit INR 20 per month. The SHG allowed to her to borrow on two occasions; INR 1,000 to provide treatment to the youngest son and the goats, and INR 5,000 for her daughter’s wedding. Both loans carried a rate of interest of 24% per annum. She continued with the SHG for about two years. After her daughter’s wedding, she was in a bad financial shape and hence could not repay her loan timely or make monthly deposits to the SHG and had to leave the group. She has however totally repaid her SHG loan. Leaders of the SHG were two Brahmin women from Dhool. She was not aware of the details of her SHG or the NGO. She was also ignorant of what was happening to her SHG savings. She however feels that SHGs are beneficial for the people as they provide an access to cheaper credit to people like her. On deeper probe, she stated that she would have been happier with better savings products and more incidents of loans with flexible repayment schedules. She also felt insulted within the SHG when she failed timely repay her loan installments. Currently she does not have any bank account or any mechanism to save her money. Another SHG was initiated under the village self employment scheme (SGSY) at Barakheda by one Deepu Dwivedi (again a Brahmin from a neighbouring village) in 2005, consisting of one woman each from twenty households in the village, including Meena. They deposited INR 20 per month with Deepu for eleven months but started distrusting Deepu when they did not get their bank passbook. They all decided to stop their savings and asked Deepu to refund their money. Some women were able to extract a part of their money from him but seven women including Meena could not get back any amount as her husband is considered to be very docile. This incident has made the villagers skeptical and may not trust any such initiative easily in future. In addition, they were deprived of subsidized credit available under SGSY. Agents of Life Insurance Corporation (LIC) are very active in the area, and being local they are able to convince the people to purchase life insurance policies of LIC. Moolchand, Meena’s husband, had purchased an LIC policy about ten years back when he was working at another plant. He continued to pay the insurance premia for two years, but then his contractor started troubling him and his payment became irregular. As a result, he could not deposit the subsequent premia and lost his premium amount as such policies have a lock-in period of three years. Any discontinuance of a policy before three years does not entitle the policyholder to any refund. Moreover, he was also deprived of his insurance cover. For cattle insurance the villagers thought that the provision of such insurance is only for the cattle, which are bought on government loan or under some subsidy scheme of the government. Her household is also supported to construct a latrine under total sanitation campaign and they were given construction material worth INR 1,500. It was however not enough to construct a roof and provide doors to the structure and hence is not usable. Needless to say, they were all falling apart because of disuse. As material was not enough, the structure also has only one brick deep foundation. The soak pit is also very small with a depth of one foot. With such small soak pits, the latrines may not be of much use even after their full construction. According to her, she would have preferred completing the construction and using it if the amount of shortfall was available to her as cheap credit. During my visit an inner street was being laid in the village under national rural employment guarantee program (MGNREGA) and her son was engaged to work as a laborer. She was happy that he was getting work in the village itself and did not have to go out of the village. No woman was however employed for the work. In spite of the PDS shopkeeper’s allegedly dishonest ways, she acknowledges the role subsidized food towards food security of her household. This however creates a demand of INR 205 on the day of distribution. Sometimes when they do not have that amount and cannot arrange for it, they have to forego their entitlement of the subsidized food. This used to happen very often when she was not working at Kanpur. She feels that she would be much better off if she has an access to smaller loans for shorter durations. . This way she would also be in a position to complete the construction of latrine that may reduce her medical bills in addition to huge inconvenience of going out to defecate in the open. Such loans would enable her to utilize the subsidies available to her without burdening her much as the loans would be small and for shorter durations. That is precisely the reason that she cannot access such loans through informal channels as interest income against such loans would be small and unremunerative for the lenders. Meena strongly feels that the extended family-based social protection systems have considerably weakened over the years. The extended family helps only when a household has capability of earning money. She says if she goes to ask for even one kg of flour, she has to listen to the other person’s taunts. Their social capital networks however are useful in meeting the expenses especially on marriages. Everybody attending the marriage is required to contribute a small sum, sometimes as little as INR five, while bigger amount is expected from near relatives. Such contribution builds up to be a substantial amount as 200-300 people normally attend a marriage. As a part of ensuring clothing security to women, there is a custom, called bhaat, according to which their brother would get a saree for them at social functions, especially during marriages either at their in-laws’ place or at their parental household. As other loans through informal sources carried higher rates of interest, she chose to repay them first. This entry was posted in Uncategorized and tagged Assetlessness, Financial needs, Food security, Households, Income shocks, Livelihood Strategies, NGO, poverty, Self Help Groups, Social capital, Social Protection, vulnerability on July 27, 2016 by Dr Anurag Priyadarshee. Some time ago I studied some households living in multi-dimensional poverty conditions in various states. I spent a considerable amount of time with all the members of the families, and accompanied working members to their places of work. I tried to understand their desperate livelihood strategies, their external environment, their needs for financial services, and their access to social protection. I am sharing some selected stories here. The names mentioned here have been changed to protect their anonymity despite their express consent for using their names. Second of such stories relates to the household of Champaben of Dahod district at Gujarat. Champaben does not know her age but she may be about 35 years of age, based on the estimates of her neighbours. She lives with her husband Ramanbhai and two sons aged 14 and 10 years. She belongs to Bhil tribe, an ST community. Champa and her husband are illiterate. They do not have any skill marketable in the employment market. Champa also suffers from bad health and is not able to perform manual labour. Their elder son stopped going to the school after passing class seven about a year ago, and has joined unskilled labour force seeking work at Andhari or at the nearby town, Limkheda. It may not be very long before he starts migrating to support his family. The younger one is studying in class five, and is continuing his studies primarily because the village has a school and he is receiving government scholarship available for the SC and ST children. Their house is in dilapidated condition. It does not have a toilet or an electricity connection. They have four wooden cots and a few basic aluminium and steel utensils in the house. Champa cooks on a clay chulha (stove) with firewood collected by her and the children during the day. The household has five bighas of agricultural land. Out of it, one bigha is rain-fed and is not suitable for growing paddy. They can only have one crop on this field and grow maize during monsoon. The other four bighas are irrigated and they can cultivate two crops viz. paddy and maize. They can also grow lentils and vegetables on this land. All of four bighas are however mortgaged to raise some money for her treatment. They have a milch cow. The household has mortgaged four bighas of agricultural land for raising some credit, and is engaged in cultivating maize in one bigha of the land remaining with them. It suffices to meet the household’s food requirements for three to four months. Champa’s husband was earlier migrating to Vadodara but has stopped it for last three years, as Champa is not keeping well. Along with his son, he looks for the casual work in and around the village when not engaged in cultivating the field. They also go to Limkheda in search of work. Champa cannot do much work so she works on the field, and when there is no work on the field she collects grass from the fields in monsoon and sells it at Limkheda. She also looks after the cow. Their staple diet is maize chapattis and vegetable curry. They are not able to grow lentils on their remaining field as there is no means of irrigation and they cannot cultivate anything in the winter and summer seasons. As the lentils are very costly, they buy it in smaller quantities and get to eat it only on special occasions or when they have sufficient money. They afford to have non-vegetarian meals even more rarely, with one such meal in three-four months. Milk of the cow is only sufficient for making tea. The household has however not suffered from hunger in the recent past partly due to their entitlement to the PDS food. Champa and her husband have not bought clothes for themselves for last three years after he stopped migrating. As they have a school-going son, it requires them to buy books and stationery costing about INR 300 every year. The clothes for the children are procured with the amounts of their scholarship that is available to all the children belonging to ST and SC families (elder son also received the scholarship until last year). Major routine expense is on chandlo, but as their financial condition is not good they avoid making large payments for chandlo. They have to still spend at least INR 3,000 on it every year. Champa has developed some heart problem, and keeps having fever and pain in her chest for last four years. She gets herself treated at a private hospital. She has already spent about INR 30,000 on her treatment. Whenever she goes to the hospital the doctors inject a bottle of glucose in her body, give her medicines, and charge about INR 600. She becomes better but starts feeling pain and fever again after about 20 days which is followed by similar treatment. Each round of pain and fever leaves her weaker; she gets bouts of dizziness and frequently suffers from nausea. According to her, even her husband has got tired of all this. Her treatment appears to be addressing the symptoms without diagnosing the disease. But that seems to be in the interest of the private hospital at the cost of her well-being, which also has serious economic implications for her household. She does not want to go to a government hospital, as she and the people like her, being illiterate, do not understand their procedures at the government hospitals and much of their time is wasted there on unnecessary things. Such practices delay the treatment and patients suffer. Moreover, the people attending to the patients lose their working hours and thus their wages. She had to borrow INR 5,000, 4,500, 5,500, 3,000, and 3,000 on different occasions for her treatment by mortgaging her land during last four years. Her sickness prevents her husband from migrating and earning better incomes. Her long sickness has also turned away her well-wishers. They no longer come forward to help her when she has shortage of food and other provisions. Her household gets provisions only when her husband has work and brings home his wages. Her son does not get much work as he looks young and weak, and the people in need of casual labor are not convinced of employing him. Champa’s household requires money to meet her medical expenses, reconstruct their house, meet their regular consumption needs including the expenditure on chandlo, and to provide for other contingencies. Some of the required funds can be generated by saving a part of the wages of her husband and her son, whenever they get work. They thus require a savings mechanism that is not only reliable but also has provisions for smaller but frequent transactions. It should also have provisions to conduct transactions outside their working hours. All of their financial needs, however, cannot be met by savings alone and they require frequent access to smaller but reasonably priced credit for their agricultural investments, to meet Champa’s medical expenses and other emergency needs, and smoothen their consumption during the periods of lean incomes. Champa’s husband needs to be insured as he is the only earning member as of now and if something happens to him, Champa will also be deprived of her medical treatment. His daily wage casual employment does not provide him with any security. Health insurance is equally important, as, in addition to reduce their health expenses, it will facilitate their treatments at more competent hospitals. They also need to insure their cow, the only productive asset other than their agricultural land. Champa does not have access to any formal financial service or microfinance. This explains why she had to mortgage four bighas of her land to borrow small sums of INR 3,000 to 5,500 on five different occasions. Mortgaging of the land has further limited her capacity to repay her loans. She is now finding it difficult to access loans through informal mechanisms as well, as she does not have any collateral to offer and the lenders who offer costlier loans without collateral are apprehensive of her repayment capacity. She had to therefore cajole her niece to lend her INR 2,000 just before my final visit to her household, as she was not getting the money from any other source and she had to show herself to the doctor. Her household has got an Antyodaya ration card to access the PDS subsidised food. Ration cardholders in the village do not seem to be aware of their exact entitlement of subsidized food. This situation allows the PDS shop-keeper to disburse less quantities of foodstuff than those prescribed, and record larger quantities in their ration cards that the ration cardholders either cannot read or do not want to read considering it useless. According to champa, she gets five kg of rice, 10 to 15 kg of wheat flour and two kg of sugar every month on payment of INR 120. The entries on their ration card reveal that they were disbursed 17 kg of wheat flour, 16 kg of rice and 4.5 kg of sugar in July 2008, and 16 kg wheat flour, 13 kg of rice and two kg of sugar in August 2008. According to provisions in TPDS for Gujarat state, an Antyodaya cardholders is entitled to receive 16.7 kg flour (for INR 38), 16 kg rice (for INR 48), and 500 gm sugar per person in the household. Thus, Champa is receiving less than her entitled food at higher than prescribed rates. Even more interesting is the case of cooking oil. None of the villagers including Champa were aware of its provision or reported to have received it but as per their cards, they have “received” four liter of oil in July and one liter in August 2008. Earlier also, according to her ration card, one liter of cooking oil was distributed in the months of July, August, September and October 2007 respectively, which she denied to have received. Champa’s household also received subsidy for construction of her house under IAY in the year 2005-06. According to her, they received a total of INR 28,000 in three instalments, out of which an amount of INR 11,000 was allegedly taken away in various forms of commission even when the money was disbursed to her through a bank account. A provision has been kept in Indira Awaas Yojana (IAY) to disburse the housing subsidy through a bank account so that the money is transferred in full to the account, and accessed in full by the recipient. This is in response to the reports of the recipients not receiving the total amount of subsidies in the cash delivery system. The bank however requires them to withdraw their money in the presence of the sarpanch and one block level government official as bank people do not “recognize” them. Such requirement creates situations similar to the cash delivery systems and the recipients have to part with a portion of their installment under a threat that if they do not do so they would not receive the next installment. Champa says, ‘We don’t understand such things, as they get money in their hands and then pass on some amount to us, mentioning that they will have to give this much to this person, that much to that person etc. When we are in bank, the sarpanch asks us to put thumb impressions on papers and then gives us some money mentioning that the remaining amount is needed to be given to officials who would not do our work without “eating” money. If the money is not given to these sahibs we would not get our next installment. We don’t even know how much is being given to whom. If we come out of the bank without paying, the sarpanch comes to our home, scolds us and threatens that we would not get our next installment if we do the same. We are tribals and illiterate so we don’t understand anything.’ Thus involving local government institutions in the delivery of social protection suffers from the structural deficiency characterizing such institutions. The institutional centrality of one person, sarpanch, within the institution of gram panchayats makes the process of delivery of social protection immensely vulnerable to misuse. The official records suggest that she has been disbursed a total of INR 35,887 as the subsidy amount but according to her she has received only INR 17,000. There is no way to verify the veracity of her statement, and the sarpanch and the government officials predictably denied her allegations. Her allegations were however anecdotally corroborated in several interviews. In any case, whatever money they received was not sufficient for the complete construction of their house. They borrowed INR 5,000 at an interest rate of 120% per annum and put in their savings worth about INR 5,000 towards constructing the house. With the available money, they were able to construct the foundation and erect the walls. As the structure was open, it collapsed during the rains. After the collapse of the house they got it photographed by spending INR 300, approached the block office for government prescribed relief, filled up the application form for such relief, and took several rounds of block office and the house of the sarpanch, but to no avail. All this took a heavy toll on Champa’s health affecting her heart and requiring them to mortgage their fields. In addition to considerably reducing their income because of the land mortgage, her disease prevented her husband from migrating, which further worsened their economic condition. An NGO was assigned the task to construct 44 latrines under TSC in the village, but only the toilet seats were found put in the open without walls or soak pits. One toilet seat is also kept in the field near her house. Further inquiries revealed that the NGO has already been disbursed the total budget and no further construction would take place. Champa admits that if the subsidized PDS food was not available to the household, her family would have starved for at least one to two months every year. This however creates a demand of INR 120 for her household on the day of distribution every month. Sometimes when they do not have that amount and cannot arrange for it, they have to forego their entitlement of the subsidized food. Champa however tries very hard to arrange for the money on the day of distribution. Earlier she used to ask her neighbors for money but they have started avoiding her now due to her health problems and worsening economic condition of the household. Access to cheap and adequate credit may have enabled her to construct her house completely. That would have improved her condition of living substantially and would have perhaps benefited her health. In absence of such access to credit, not only the IAY subsidy was rendered totally useless, but the household also had to pay substantial interest on INR 5,000 they borrowed and lost their savings worth INR 5,000. Similarly, they could not derive any benefit from the provisions under the TSC for want of access to small but reasonably priced credit. Champa is not worried about the expenditure she needs to incur towards the marriage of her sons in terms of the dowry and feast for the villagers. As she has been contributing chandlo to other households towards marriages and other occasions, she knows that she would get sufficient amount in the form of chandlo to be able to marry her sons off without taking recourse to borrow at a high interest rate. Her sickness has however weakened her social ties and she is not able to manage small amounts of loans without interest from her neighbors now as much as she could do earlier. She could however arrange for a loan of INR 2,000 recently from her niece to meet her medical expenditure. She does not know how much land she owns; most of the villagers do not know the measurement of their fields, they know it physically. It is like they belong to the land, rather than land belonging to them. They always come up with the quantity of seeds they require to sow the fields. In case of Champa, the land requires 25 kg of maize. Interestingly, the people who were better off than others and had managed to receive such subsidy denied having been forced to pay a cut on their subsidies. They were perhaps aware of the fact they did not deserve it and so it was fair for them to part with a portion of their ill-gotten money. Men in the other poorer houses were also hesitant in talking about such things, perhaps fearing that they would be victimised later if the concerned officials and the sarpanch came to know of their reporting it to me. Women in all cases were more forthcoming, perhaps because they are not so street smart to foresee such consequences of their revelations and also because they are perhaps more sensitive to the injustice and have not fully accepted it. This entry was posted in Uncategorized and tagged Gujarat, Livelihood Strategies, Livelihoods, Microfinance, Public Distribution System, Rural India, Social Protection, Village Panchayats on July 16, 2016 by Dr Anurag Priyadarshee. Some time ago I studied some households living in multi-dimensional poverty conditions in various Indian states. I spent a considerable amount of time with all the members of the families, and accompanied working members to their places of work. I tried to understand their desperate livelihood strategies, their external environment, their needs for financial services, and their access to social protection. I am sharing some selected stories here. The names mentioned here have been changed to protect their anonymity despite their express consent for using their names. First blog in this series tells the story of the household of Narayanidevi Kamal, 42 and her husband, Ramlal, 45. They have have two daughters and two sons. The elder daughter is married and lives with her husband in another village. Narayani lives with her husband, one daughter, 12 and two sons, 13 and 15 years. They belong to Kamal, one of the Scheduled Castes. Narayani and her husband are illiterate. The elder son left his studies after studying till class five, while the younger one studied till class eight. Narayani says that poor people cannot educate their children, as it is a choice between hunger and education. The younger daughter is however studying in class seven. Her elder married daughter is illiterate, so is her husband. Her next generation is thus also deprived of even basic education and is becoming part of the ever increasing unskilled labour force. Worse still, they are not getting sufficient food and therefore their capability to perform unskilled, physical work will also remain limited. Narayani’s family lives in a mud house. The household has two wooden cots and a few aluminium utensils. It does not have any other consumer items, not even a bicycle. Narayani cooks on a clay chulha (stove) with firewood collected by the children during the day. The house has no toilet or electricity connection. Ramlal has one brother, and between the two, they have one bigha of land. It is wasteland and nothing grows there. His brother has a pair of bullocks which he also uses to plough the land taken on sharecropping. The household is raising two goats on half-share basis. They have been traditionally sharecropping on the land of others and that is why his brother keeps a pair of bullocks. Narayani mentions that nowadays, there is no land available in the village on half share; it is only on one-third and one-fourth share. They are also required to share on the investment, so not much is left with the sharecroppers. ‘We have to do all the hard work without getting much in return. But we are helpless before our stomachs.’ They have been sharecropping two bighas of land on one-third share for last two years, which supports their family for two to three months in terms of their food requirements. They want to have more land on sharecropping as both of them along with their sons can manage up to ten bighas of land, but no landowner is willing to share land on one-third share with them. At the time of my last interview, Ramlal was in the process of negotiation for sharecropping one more bigha of land on one-fourth share. Ramlal and the sons seek wage labour in and around their village to meet the household needs. They cannot keep away from the village for the whole day, as the agricultural fields need their continued presence in the village. They get work when there is a construction activity or some landowner needs extra hands on his fields. Narayani also wants to work as a casual labourer, but as there is so little work for men, how and where would women get the work, wonders her elder son. She, however, gets work during the season of sowing, transplanting and harvesting the crops, and along with her sons and the husband she earns food grains that meet the food grain requirements of household for two to three months. The situation had however become worse towards the end of my stay in the village, as Ramlal fell down from a tree he had climbed up to chop tender branches as fodder for the goats. He probably broke his ribs and was in immense pain. He was not in a position to work for more than a month at the time of my last visit to the household. He had got absolutely no treatment for want of money. The livelihood strategies adopted by the household imply that there would be times of food deficiency, and that is what it faces for about two to three months ever year at different points in time despite the PDS support. On certain occasions, they get to eat only once in a day. Chapattis are normally eaten with potatoes as other vegetables are very rarely purchased and lentils are luxury for them. Potatoes are also not available for three to four months in a year and then it is salt that is consumed with chapattis and rice. At the time of my last visit (25 March 2009), the household had wheat flour to meet the requirements of only two days, and had no rice, potatoes or vegetables. With no work available and no incomes forthcoming, Ramlal had gone to his sister’s place to borrow some money for food and explore if she can get him the treatment. Narayani was not expecting him to be back for next four-five days and did not know where she would be getting the food for her household from. On probing a little deeper, she said that she would first try to borrow from the neighbours but was not very hopeful as they are also on the same boat. She was also planning to request for some food grains from her landowners on loan. She always attempts to repay such borrowings as fast as possible, especially with the PDS subsidised food, and the cycle goes on. It gets broken only when her husband and sons get employment for some prolonged periods. On being asked what she would do if she does not get food from her neighbours etc., she says that it can only be answered by God. He will make some arrangement. It is very difficult to spare money for the needs other than food and serious medical emergencies. Her daughter and the younger son have two sets of clothes that were made using their scholarship amounts. She has only one saree which was given to her by her married daughter as it was old and useless for the daughter. The household did not have any money and hence married off their elder daughter without any celebration and dowry, whatsoever. Because of this she had to be married to a person, who is illiterate, does not have any assets, and seeks work of casual nature requiring no skill. As the household does not have money or access to suitable credit services for agricultural investments, Ramlal borrows it from his landowner and repays one and a half times of it at the time of harvesting. Thus, effectively they pay an interest at the rate of 150% per annum on such borrowings. Narayani did not have money for Ramlal’s treatment after he got injured. She did not borrow any amount as she was not sure if she would ever be able to repay it with an interest rate of more than 120% per annum. After he fell down, he did not eat anything for first fifteen days. He started eating a bit afterwards that but cannot sit at all. He could not be taken to the government hospital that is located about six kilometres away, as the money could not be arranged for the transport. Even otherwise they were not very keen on the government hospital as she says they only prescribe some medicinal tablets to be purchased from the market. They also call the patients to the hospital very frequently, thus further increasing the burden of expenses on the patients’ household. The accident has rendered him unable to perform any kind of work for more than one month. It is quite likely that he may be permanently disabled and the household loses out on one working member. Thus the eventual cost of unavailability of credit may be enormous not only in economic terms but also in terms of Ramlal’s wellbeing. The household therefore desperately needs an access to reasonably priced credit to sustain itself. It also needs insurance cover in terms of health, life and accidents, as that would have ensured Ramlal getting good and timely treatment. The household also requires a savings mechanism that is not only reliable but also has provisions for smaller but frequent transactions so that a part of Ramlal’s wages can be saved whenever he gets work and receives wages. She has not been a member of any SHG, as there is no SHG in her locality and no woman from her locality has ever been an SHG member. She feels intimidated with the thought of attending an SHG meeting with so many ‘big’ people. She is also not sure if she would always have the mandatory amount to save on the day of the meeting every month. Narayani has an Antyodaya card that entitles her 15 kg of wheat (@ INR 2 per kg), 20 kg of rice (@ INR 3 per kg), 2 kg of sugar (@INR 14 a kg), and kerosene (@ INR 11.50 per litre) per month. Although she economises on kerosene and very seldom buys sugar, she tries to buy entire amount of wheat and rice every month that meets her fifteen days requirement at least. If she does not have money, she tries to borrow it from the neighbours. Though sometimes she does not have money to buy her entire quota and buys whatever she can. Ninety-one cards for subsidised ration were issued in her village, Pratappur, consisting of 62 BPL cards and 29 Antyodaya cards. Village Development Officer (VDO), a local level government official, visited the village and announced that he had been instructed to renew the cards and convert nine BPL cards into Antyodaya cards. Interestingly, this was not based on any assessment of the people’s conditions in the village. Amarsingh, a panchayat member, enquired from him about the criteria to be followed for the purpose and was informed that the cards to be downgraded should belong to either very poor or widow-headed households. When he asked the VDO to hold a general meeting of the villagers and decide the issue in the meeting, the VDO told him that his higher ups had instructed him to only consult the Gram Pradhan. The situation was allegedly exploited by the Gram Pradhan, and the panchayat secretary- a village level government functionary. In addition to the nine BPL cards converted into Antyodaya cards, they fraudulently issued four BPL cards and six Antyodaya cards to different households in exchange of an amount of INR 300. This resulted in an increase in the total number of cards. There are now 57 BPL and 44 Antyodaya cardholders in the village. The subsidised food is however being received for only 91 cards (53 BPL and 38 Antyodaya), the same being the official figures. The PDS shopkeeper, therefore, could not meet the demand of food from the new (forged) cardholders. Amarsingh and his friends then persuaded the shopkeeper to reduce the delivery of food to the regular cardholders by 5 kg and distribute thus spared food to the new cardholders as ‘after all they are also poor; so what if their cards are forged.’ This has however reduced the food entitlement of households like that of Narayani, further worsening her situation. Narayani’s household has also been provided with the financial support under IAY for the year 2008-09. According to her, total subsidy paid to them is INR 25,000. They were aware of their entitlement of INR 35,000 for the purpose but believed that out of the sanctioned amount, 4,000 to 5,000 INR had to be spent on paperwork and other formalities, and the remaining amount of INR 5,000 to 6,000 was taken away by the panchayat secretary and Gram Pradhan. In fact, no amount should be spent on any formality and they should receive the entire sanctioned amount. Moreover, construction of a single room without a toilet costs more than INR 40,000 according to the villagers’ estimates. Her house is therefore incomplete as she does not have any means to arrange for the remaining amount to complete the house. NREGA job cards have been issued in the names of her husband, her son and herself. However, none of them has got any work under the programme so far, while they were among the people who had been issued job cards at the very first instance. Only two items of works have been taken up under the programme in the village- earthwork to fill and level a land depression, and brick-laying on one of the inner streets in the village. A portion of both works was reportedly got done by hiring tractors. As there is no provision of employing machines for work under the programme, the people were reportedly shown to have worked on paper. Since it is cheaper to accomplish works through machines rather than through human beings, the difference in cost was allegedly pocketed by the Gram Pradhan and government functionaries. The Gram Pradhan, on the other hand, alleged that the Junior Engineer in charge for approving the works under NREGA was demanding for 10% commission on the total expenditure to be incurred for the works under the programme. Consequence of all this was that out of the ninety people having NREGA job cards only twenty-one had ever got any employment under NREGA. As against a hundred days of guaranteed employment every year, only two persons could get a maximum of thirty days of work during last three years. No woman in the village was given any work under NREGA. Narayani and her family members have not opened their accounts in the bank to receive their NREGP wages, as they do not have minimum money required to open such accounts. She plans to open the accounts only when she gets the work and receives her wages. The subsidized food through the PDS requires her household to arrange for more than INR 100 on the day of its distribution. Sometimes when they neither have that amount nor can arrange for it, they have to forego their entitlement of the subsidized food. Narayani feels that she would be much better off if she has an access to smaller loans for shorter durations. Such loans would enable her to utilize the subsidies available to her without burdening her much, as the loans would be small and for shorter durations. Subsidized housing programme also creates a need for cheaper and easily accessible credit services. The housing subsidy is of no use until the house is totally constructed and worth inhabiting. This subsidy can have an impact if and only if the recipients are able to arrange for additional financial resources, for which the poor recipients like Narayani need an access to reasonably priced credit products. For want of such access, she has not been able to complete the construction of even one room and use it. Realizing the impossibility of his treatment at his home, Ramlal’s sister called him to show him to the doctor. According to Narayani, his sister is also in a similar economic situation but is trying to help them through her limited means. While leaving he had also planned to borrow some food grains from her. Narayani is waiting for him to come back with the food grains but is not sure if his sister would be able to help them with food grains. Her daughter also helped Narayani by giving her an old saree, and that is the only saree Narayani has and keeps wearing. However, her son-in-law is also as poor as is Narayani and thus cannot help her much. His household does not have land or any productive asset. He seeks work in his own village and does not go out, as he is illiterate; ‘what will he do outside?’ wonders Narayani. There is system of ‘share-raising’ of livestock, where a household adopts an animal immediately after it stops breastfeeding on its mother at the place of its owner. It is either sold when it matures and the sale proceeds are shared equally between the owner and the raiser, or if one of the parties wants to keep it, the other party is paid the half of market share. This entry was posted in Uncategorized and tagged Employment Guarantee, Human Capital, Livelihood Strategies, poverty, Public Distribution System, Ration Cards, Rural India, Uttar Pradesh, Villages on July 16, 2016 by Dr Anurag Priyadarshee. It is universally acknowledged that education, at the very least basic education, is critical for leading a life of even minimally accepted quality. Jean Dreze and Amartya Sen in their recent scholarly work on India, ‘An uncertain glory: India and its contradictions’ (2013: Penguin Books) identify nine pathways through which basic education helps people improve their wellbeing “particularly in the modern world, where so much depends on the written medium” (p. 107, ibid). In the light of this, the deplorable state of basic education in India deserves all the attention it gets, and more. A study commissioned by the World Bank entitled “Missing in Action: Teacher and Health Worker Absence in Developing Countries” (http://www.ksg.harvard.edu/pepg/PDF/events/MPSPE/PEPG-05-14kremer.pdf) concludes that government school teachers represent among the least motivated class of workers in India. Based on a survey of 3,700 schools across 20 Indian states the study found an absence rate of 25% among teachers that is much higher than the absence rate of 10.5% among Indian factory workers. The Bank’s Development Policy Review for India (2006) also indicated that half of the students in the 5th standard could not read the text of the level taught in the second grade, and two thirds could not solve division problems meant for those studying in the second grade. The Review further estimated teachers’ absence rates to be from 35% to 85% in different states. More recent studies do not suggest any significant improvement in the situation. Within the generally dismal state of basic education in the country, rural primary education is even more pedestrian in comparison to its urban counterpart. In addition, the gap between quality of delivery of education in rural schools and that in the schools in urban areas is continuously widening. This blog post looks at some practical issues facing rural primary education and attempts to suggest measures to address them. My studies in rural areas of Gujarat, Uttar Pradesh and Rajasthan reveal that among the three stakeholders of rural primary education teachers have the least incentive and motivation, in the present situation, to put in their best efforts towards improving the quality of delivery of education. Generally, their own children do not study in these schools. In addition, they do not stay in the villages of their schools and thus do not feel the kind of kinship with the community and the children needed for being self-motivated in this regard. In a large majority of cases, even if they resided in the villages before getting the job, their first response to getting their job was to shift to nearby town or the city for better quality of life, and more importantly, for better education of their children. This reflects their lack of confidence on the quality of education imparted by their own selves. This situation further disincentives their regularly traveling to their schools as it requires them to spend money in reaching the school. They tend to avoid it if it is possible to do so without getting into any trouble. Moreover, as the school hours are less than normal working hours, many of them are tempted to start some small enterprise of their own, which in most cases, is feasible as they have already shifted to a town or a city. Even if they stay in the villages, they open shops or have to look after their fields and so on. In such situations, being able to not attend the school offers positive incentives. Thus, if there is no corresponding negative incentive, they prefer not going to the school regularly. It is not that none of the teachers has any commitment: in fact, most of the new recruits were found to be quite committed in my interactions but the entire system which incentivizes the absenteeism and not working, slowly and gradually changes them. No-retention policy and the fact that their remunerations and promotions are not directly linked to the learning levels achieved by their students do not leave them much motivated to put in their best efforts in teaching. In my studies an overwhelming majority of parents reported that all the teachers are never present in the school and most of the teachers, even when they attend the schools, are not interested in teaching. They just sit with each other, gossip and eat even during the non-break hours of the school. I also frequently encountered such situations whenever I visited primary schools in remote villages during their class hours. Some parents even took drastic measures to withdraw their kids from the schools altogether as according to them the kids were not learning anything in the school. Rather, as they were left unsupervised they learnt all bad habits, pointed out the parents. However, in all cases, respondents well understood the importance of education for their kids, boys and girls both. The other stakeholder, the government education machinery other than teachers, can never be in a position to monitor the rural schools effectively and ensure that all the teachers attend schools regularly because of such a vast, spread out network of the schools. It is not physically possible to deploy sufficient resources to oversee functioning of the schools regularly. Deployment of technology, wherever it is done, is also not proving to be very effective due to unreliable electricity supply in most of the villages and the teachers’ attempts to tamper with the machines. An element of rent-seeking makes the government machinery even less efficient than what it can be otherwise. Result of the aforesaid situation is that a majority of the children studying in 4th and 5th standards, particularly those belonging to socially and economically disadvantaged households, cannot properly read or write even in their own mother tongue let alone showing any evidence of more sophisticated learning. This holds across almost all rural primary schools I visited in Gujarat, Uttar Pradesh and Rajasthan. One of the important ways to address the situation may be through promoting deeper and effective involvement of the local community in the matters of managing the schools in their villages. In any case, they have the biggest stake in the entire affair and once they are convinced that their voice is being heard and being acted upon, will be most motivated to reform the way their schools are being run to benefit their own children. Efforts need to be made to channelize such motivation in proper systems and procedures. State governments have been making efforts in this direction with varying degrees of commitment. Centrally-sponsored program, Sarva Shiksha Abhiyan (SSA: Drive towards Education for All), launched in the year 2000-01 has community participation as one of their major objectives. The Abhiyan has provisions to organize Village Education Committee (VEC), Parents-Teachers Association (PTA), and Mother-Teacher Association (MTA) in the villages of their catchment area with the help of Panchayat representatives. None of the committees in any village has been formed by following the guidelines for the purpose, which require calling for open meetings to select members other than ex-officio and nominated members. All the ‘selected’ members stated that their names were put in the committees by the respective Head Teachers. 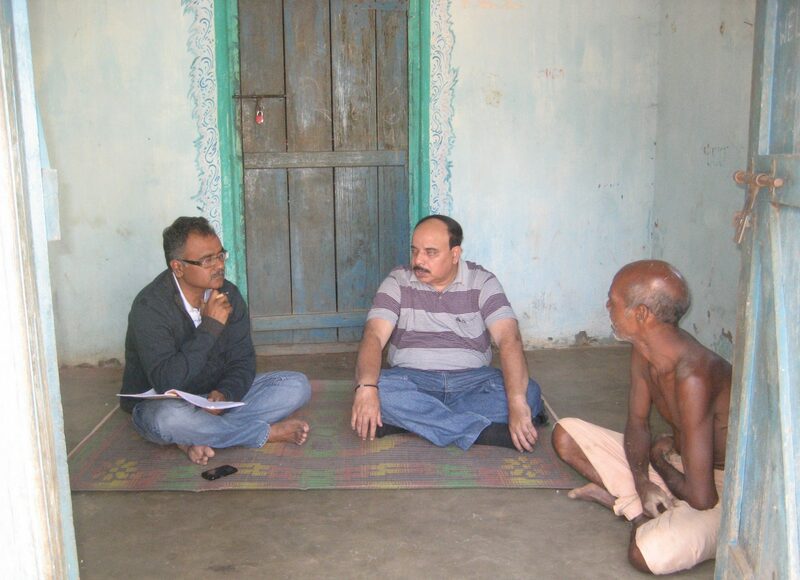 Most of the villagers other than the members are completely unaware of existence of such committees in their villages. This clearly defeats at least one major purpose of forming of such committees to serve as grievance redressal mechanism for the villagers. Schools and the teachers are hardly accessible for redressal of the grievances of the villagers belonging to disadvantaged sections. Even more importantly, some of the members themselves did not know that their names were in the committees and associations. They came to know about their membership status only because of this study. In all the sample villages, there are members of MTA and PTA whose children do not study in the schools and thus cannot be members of these associations. The members do not know the roles of their committees or associations and their own role within the same. The meetings are not held at prescribed intervals. VEC is to meet at least once every quarter and the MTA and PTA are required to meet every month. At the most such meetings are held once a year. Even in such rare meetings ordinary members never speak. Only the teachers, or sometimes (although very rarely) the Panchayat head, speak. Agenda for the meetings are decided by the Head Teacher only and in no village any agenda item was proposed by a non-teacher member. Agenda items are required to be circulated at least one month in advance but, in reality, are never circulated before the meetings. None of the head teachers or other teachers is aware of guidelines prescribed for the purpose and the required documents and registers are not maintained in the schools. Thus, even when mechanisms have been developed under SSA to expand the participation of local communities, Panchayats and parents, in reality they are functional only superficially. Additionally, my experience of working in the area of education in rural areas shows that the long-term and sustainable improvements in education in rural areas cannot be achieved by developing isolated islands providing quality education such as Navodaya schools. It will require making Government schools in rural areas more accountable to the local communities and strengthening the systems and mechanisms already in place for the purpose. Implementation of the above suggestions may be a part and also starting point of much bigger initiative in response to “a key challenge in the twenty first century is constructing new relationship between the ordinary people and the institutions- especially those of government- which affect their lives” as argued by John Gaventa, Institute of Development Studies, University of Sussex, in a presentation for the Ford Foundation. According to him, “rebuilding relationships between citizens and their local government means working on both sides of the equation- that is going beyond the ‘civil society’ or ‘state-based’ approaches, to focus on the intersection through new forms of participation, responsiveness and accountability”. This entry was posted in Uncategorized and tagged Accountability, Basic Education, Community Participation, Education, Rural India, Village Panchayat on July 8, 2016 by Dr Anurag Priyadarshee. In the first three parts of this blog story I discussed three major opportunities that could have rejuvenated India Post and given a big boost to rural Indian economy while improving economic wellbeing of a large section of Indian people. India Post could not exploit those opportunities due to the structural issues that face the organization. Fourth and concluding part of this blog story focuses on some such relatively important structural issues. My own experience of working with India Post at various positions and the interviews with the higher officials suggest that much of the policy decisions within India Post are taken by the bureaucratic arm of the organisation contrary to the general theme of politics administration dichotomy in the literature on public administration. The dichotomy is premised on the idea that policymaking is the role of the elected politicians while the bureaucrats’ job is to implement the policies, and both the institutions should restrict themselves to their prescribed areas of activity. However as Bohte (2007: 811) points out that ‘a true dichotomy between politics and administration has always been and will most certainly continue to exist only as an idealised fictional construct’, and the bureaucrats are often required to take policy decisions. Bureaucrats have been observed to be having much bigger role in policymaking than the legislature in countries like Germany, Japan, and Russia (Moloney 2007). In India too, the bureaucrats at the topmost levels have been actively involved in policymaking (Maheshwari 2005). N. C. Saxena, a former top Indian bureaucrat, points out that ‘[in India] the civil servants have been given the task of initiating the policy and taking it through, whereas most politicians are totally indifferent to what the policy is’ (discussion quoted in Taylor 2005: 753). Mosher, a much respected scholar on public administration, argues that a majority of policy decisions are initiated and influenced by the appointed officials and not by the elected politicians. He further argues that such decisions are shaped by ‘their capabilities, their orientations, and their values,… [and] these attributes depend heavily upon their backgrounds, their training and education, and their current association’ (Mosher 1982: 1). Maheshwari (2005) points out that the top bureaucracy in India is mostly drawn from urban middle and upper middle classes and from a certain number of universities, and is influenced by its own value system while designing policies. The feeder cadre for the top bureaucrats in India Post, Indian Postal Service (IPS) officers, is no exception to this observation. The IPS officers are also extensively trained with induction as well as in-service trainings. An analysis of the training modules (India Post undated) reveals that the training contents are largely technical with an overt emphasis on operational issues. The trainings appear to be more suited for India Post as a business organization rather than an important public institution. The training does not provide the officers with the information and tools to analyze the larger socio-economic issues facing the poorer segments of the population, and the contribution India Post as a public institution can make towards addressing some of these issues, especially in rural areas where it has an extensive presence. Continued colonial traditions within the management of organization further ensure that the higher management never has an opportunity to learn actual operations that take place in a post office. Indian Postal Service officers are always positioned at an arm’s length from day-to-day operations. They are trained to ‘inspect’ and ‘visit’ actual postal operations but not to participate in managing their actual delivery. This results in their not entirely understanding the potential of this great institution and failing it whenever opportunity arrives to bring it to development mainstream of the country. Predominance of neo-liberal discourse in the government after the 1991 reforms in Indian economy is also a contributory factor for excessive focus on the profit-making and treating India Post more of a business entity rather than a State institution. When organisations such as the World Bank advocate larger role of the post-office and make suggestions for India Post to come out of the red, it invariably involves strengthening India Post’s capabilities to provide infrastructural support to other sectors of the economy (World Bank 2005; 2002). Such prescriptions do not consist of measures aiming to engage it towards the pro-poor development of rural areas and promote the government agenda for the rural areas, for which it is one of the most suitably located organisations among all the State agencies. The neo-liberal discourses are also accompanied by the efforts to reform public administration across much of the democratic world, collectively referred to as the New Public Management (NPM) and its successor post- NPM. Such reforms seek ‘managerial and economic solutions to complex problems’ within public administration (Jun 2009: 161). However as Denhardt and Denhardt (2003) point out that such solutions are inadequate to address the larger issues involving the people such as public good, social justice and ethical considerations. These solutions are also found wanting while dealing with ‘[s]ocial factors, such as delivery and access hurdles as a result of caste-based discrimination’ in Indian context (Jayaram 2009: 784). Argyriades (2007: 18) is severely critical of ‘one size fits all’ approach of NPM, among other things, and argues that the NPM has failed to adequately deliver on its promise. The NPM however largely informs policymaking within India Post as is evident by the response of India Post to the changing realities around it. Mainstreaming of neo-liberal discourses explains another bias towards the business and corporate sector while developing premium products and value additions on the existing products, ignoring the competitive disadvantage facing the organization while serving such a set of clients. This is perhaps based on the assumption that the additional revenues to reduce the recurrent losses can be generated through the business community only. This approach tends to ignore the business opportunities requiring the utilization of about 89% of its network available in rural areas. Such business opportunities may not only generate additional revenues for India Post, but may also help reduce rural-urban and rich-poor divide in Indian society as is testified by various social enterprises across the world. Although it is important to tap the business potential in urban areas where a large part of India Post’s capital investment is concentrated, there needs to be a balance between the urban and rural-centric efforts within its business strategy. Such a need is particularly acute in view of the fact that India Post does not enjoy a competitive advantage in urban sectors. Aforementioned dynamics of policymaking within India Post also explains the overt urban bias in decision-making within India Post. In addition, the recruitment procedures do not provide an opportunity to the IPS (and Indian Civil Service, in general) aspirants to be tested on subjects such as social work, development studies, international development, rural management and rural development, study of which could have given them an understanding and the sensitivity to explore and engage their organization towards serving the poorer population in rural areas. The urban-bias is further explained by the fact that due to their work conditions, the top bureaucrats have very little functional exposure to rural areas, rural economy, social and business networks, and power structures in rural areas. A sizeable portion of top bureaucrats has never had any opportunity to work beyond metropolitan cities. Due to a pronounced urban bias in the policymaking within India Post, a majority of new and premium services introduced by India Post in financial as well as non-financial sector can have their clientele in urban areas only. They cannot be introduced in rural areas, as they do not have rural market. The semi-urban and rural networks cannot support new sophisticated products or value additions on existing mail products due to the fact that such needs do not exist in the rural and semi-urban areas. It can however support appropriate products in retail and financial sectors where there are vast amounts of unmet needs and demands. Due to this reason, new products and services that have been relatively successful in generating revenues for India Post have been the ones that have leveraged the rural and semi-urban networks (Priyadarshee, 2015). Such outcomes naturally follow from the structure of the postal network particularly in rural areas. The postal personnel for rural post offices are largely drawn from the local communities and therefore enjoy trust of the people. Post offices are suitably located to deliver financial services and social protection measures due to their proximity to the rural people, and their personnel being known to the local people. Additionally, India Post, being a government department, is in a better position than similarly placed agencies such as banks and telecom companies to coordinate with other government departments offering social protection. By involving post offices, state governments and the government of India may also be in a position to avoid extra expenditure on creating new financial service channels or new delivery mechanisms for social protection programmes. This will however need post offices to reach out to the deprived households, which will be far easier for them than any other network due to their geographical proximity with such households. This will, in turn, require postal management to be trained in the methodology of community engagement, and understand the necessity to do the same. Significant public resources have already been invested in creating and sustaining such mammoth organizational capital and it will not be in the interest of Indian people to let India Post remain under-utilized. Argyriades, D., 2007. ‘Resisting change’: Some critical remarks on contemporary narratives about reform. In: D. Argyriades, O. P Dwivedi, and J. G. Jabbra, eds. Public administration in transition: Essays in honor of Gerald E. Caiden. London: Vallentine Mitchell, 1-23. Bohte, J., 2007. Governmental efficiency in our time: Is the “What” really more important than the “How”? Public Administration Review, 67 (5), 811-816. Denhardt, J. and Denhardt, R.B., 2003. The new public service: Serving, not steering.E. Sharpe: Armonk. Jayaram, S., 2009. Postreform India. Public Administration Review, 69 (4),783-785. Jun, J. S., 2009. The limits of post-New Public Management and beyond. Public Administration Review. 69 (1), 161-165. Maheshwari, S. R., 2005. Public Administration in India: The higher civil service. Delhi: Oxford University Press. Moloney, K., 2007. Challenges in growth and development: Lessons from comparative bureaucracy: Today as yesterday. Public Administration Review, 67 (6), 1083-1086. Mosher, F. C., 1982. Democracy and the Public Service. 2nd edition. New York: Oxford University Press. Priyadarshee, A., 2015. Towards reducing poverty in India: A case for mutually leveraged and reinforced delivery of microfinance and social protection. Saarbrucken, Germany: Lambert Academic Publishing. Taylor, M., 2005. Bridging research and policy: A UK perspective. Journal of International Development, 17 (6), 747-757. World Bank, 2005. Report on seminar, transformation of India Post for Vision 2020, June 15-16 [online]. Available at: http://www.worldbank.org.in/WBSITE/EXTERNAL/COUNTRIES/SOUTHASIAEXT/INDIAEXTN/0,,contentMDK:20568412~menuPK:295589~pagePK:141137~piPK:141127~theSitePK:295584,00.html [Accessed 28 December 2009]. World Bank, 2002. India Post 2010. Conference on harnessing the outreach infrastructure of India’s postal network [online]. Available at: http://www.iief.com/Consulting/13march.pdf [Accessed 12 July 2009]. This entry was posted in Uncategorized and tagged India, India Post, New Public Management, Policymaking, Post NPM, poverty, Public Administration, Urban Bias on June 30, 2016 by Dr Anurag Priyadarshee.